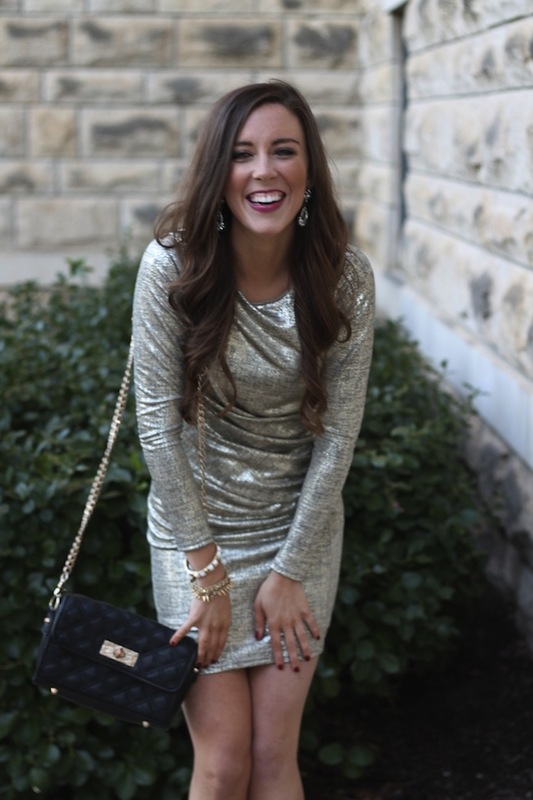 I love love love having a reason to wear sequins! They are so fun but can be tricky to wear on a normal day to day basis! 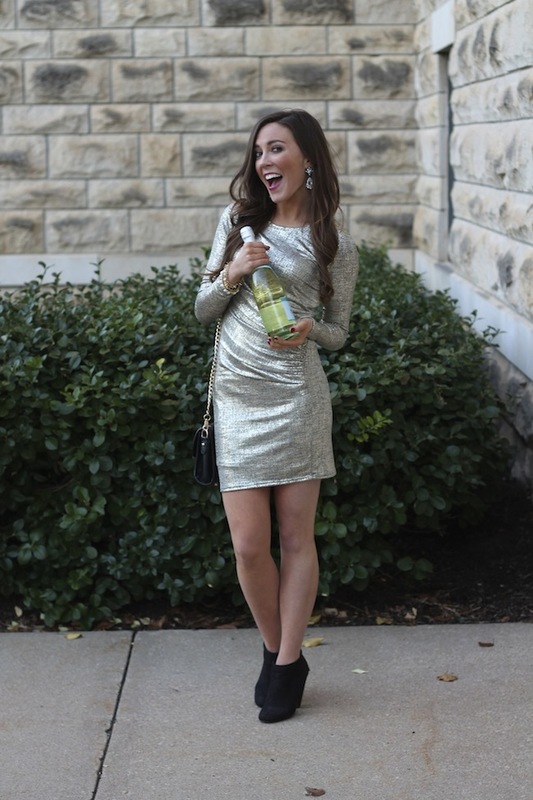 Thank goodness for the holiday season - a great excuse to wear anything and everything sparkly! 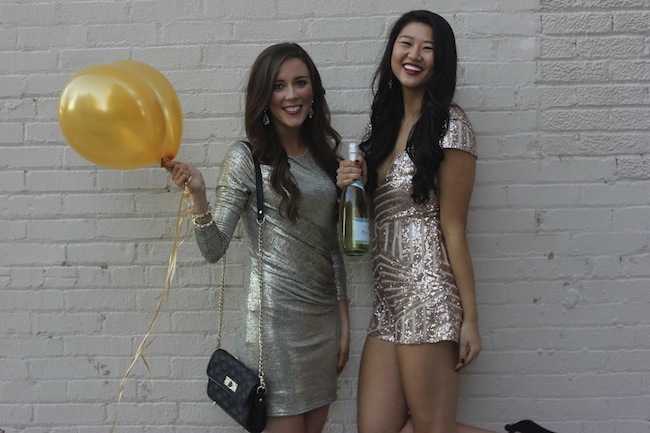 I am still trying to decide if I want to wear my romper (link - NYE Romper) or these sequined leggings on NYE. I love the romper but it is sooooo cold outside, so I might wear these sequined leggings with a shear top and top it off with red lipstick! But for today, I "dressed it down" with an oversized sweater to make it more casual and work appropriate! Hannah and I spent the majority of our lunch break texting each other on how we wish we were still on break! It's so hard to get back to work after the holidays - no motivation whatsoever, especially when it's snowing outside! 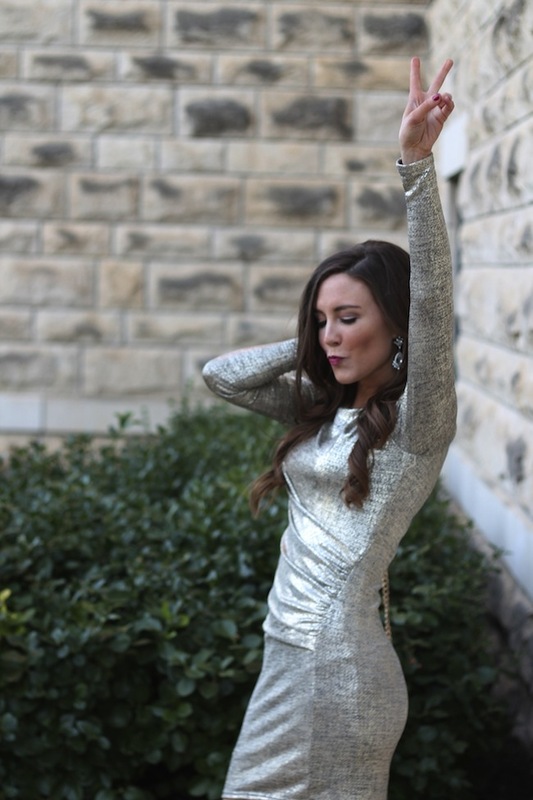 But we made it through today and we can't wait for another long weekend bringing in 2016!! WHOOP WHOOP! 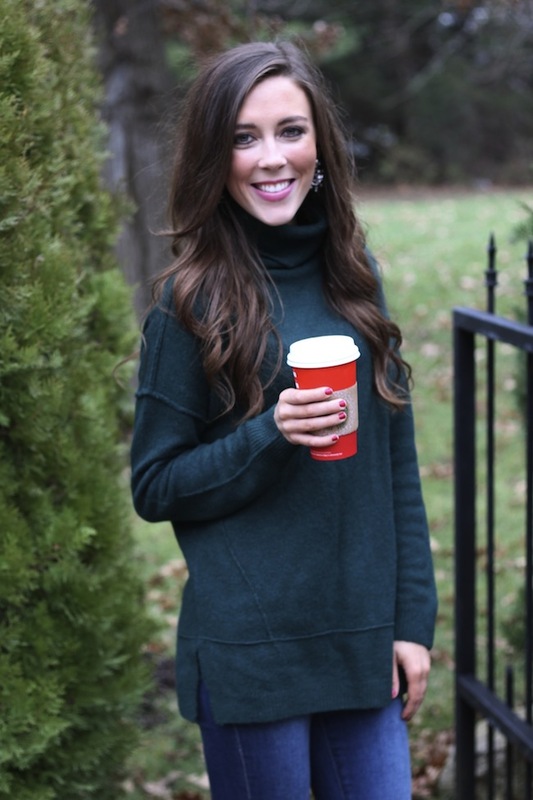 I love this sweater dress so much, not only is it super soft and comfy, but it also helps you hide your holiday food baby! haha! 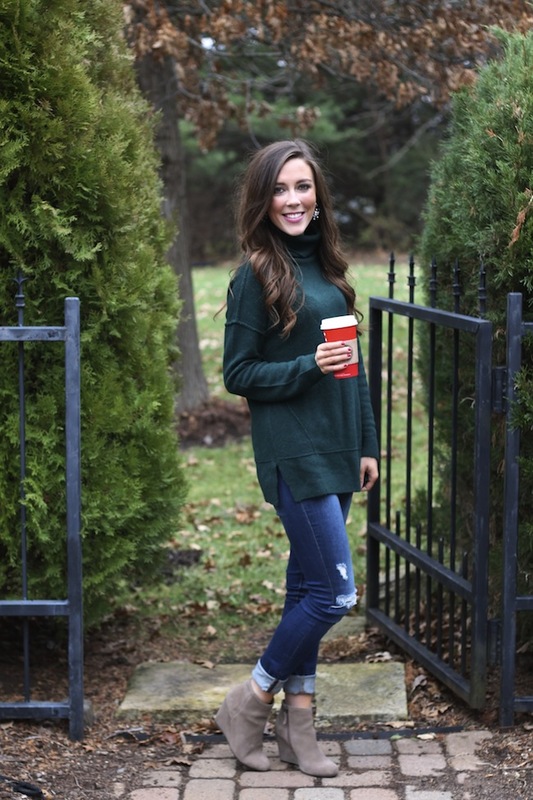 This sweater dress is also super versatile - it goes with pretty much everything and it would look super cute with some OTK boots or normal riding boots! Also, Nordstrom is currently having a huge after-Christmas sale! Many items are 40% off, so you can get some great deals on clothing, accessories & shoes to wear the rest of Winter! !